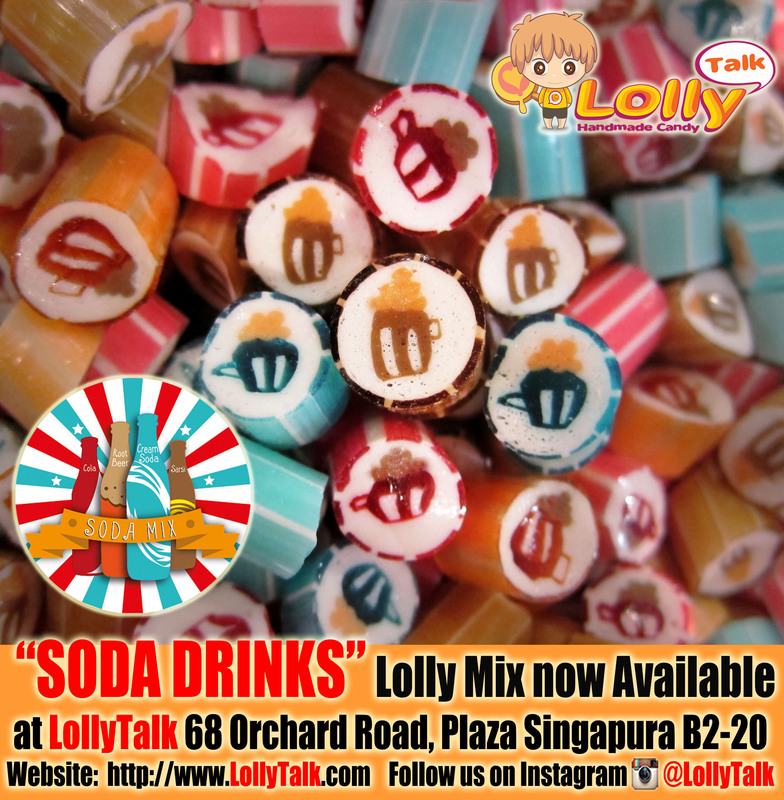 LollyTalk‘s “Soda Mix”! Readily Available now atLollyTalk At Plaza Singapura B2-20l!!! LollyTalk‘s ever-green “Retro Mix” is now rebranded as “Soda Mix”! Same flavour, same recipe, new design yet price unchanged! Comes in a mix and consist of Cola, Root Bear, Sarsi & Cream Soda!!! Now available in various bottle sizes too!!! You really have to taste a LollyTalk to understand why so many people have chosen LollyTalk as their gifting solutions. Made with the finest ingredients and an award winning recipe, a sweet gift that never goes wrong for all occasions. Do visit LollyTalk‘s flagship retail outlet, located conveniently at the heart of Singapore’s prime shopping district, 68 Orchard Road, Plaza Singapura B2-20. Come and immerse yourself in the complete lolly shopping experience that everyone is talking about!